The Quest ends – a new Dawn begins! 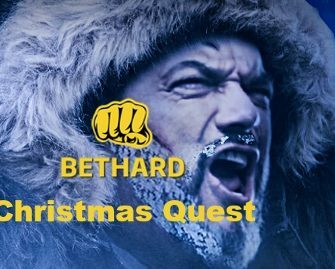 The thrilling Christmas Quest at Bethard ended on Christmas Day, but a new Dawn has begun and will run until New Year’s Eve with three daily challenges and rewards. 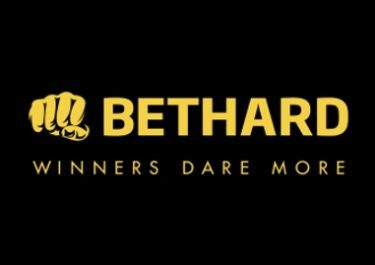 Join the hero on his quest today to grab even more Free Spins on deposit, wager rewards, Live Casino treats and free bets for the Sportsbook. And don’t forget, that all the other rewards are doubled if you answer the daily riddle correctly. This is a fiery 38-day race that will require a lot of stamina from the participating players. Collect one point for every €1 wagered in the Casino, Live Casino, Sportsbook and on Virtual Sports. Contributions vary, please check the terms and conditions on the promotion page for exact details. Double points are earned every week from Monday to Sunday for every €1 wagered on selected slots. All eligible players can answer a daily question to be presented with three challenges, irrespective if they answer it correctly. Completing each challenge will unlock a festive reward which is doubled if the quiz was correctly answered. 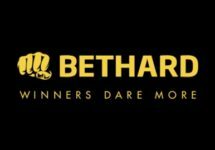 Winnings from Free Spins are cash, no wagering requirement while bonuses must be wagered 40x subject to the Bethard bonus terms and conditions. Daily Quiz Question: Which player has played the most games in the EPL? Daily Quiz Question: Which is the highest mountain in the world? Daily Quiz Question: What is the nickname of UFC fighter Conor McGregor? Daily Quiz Question: How many rings are on the Olympic flag? Daily Quiz Question: What colors are in the Swedish flag? Daily Quiz Question: What sport made Wayne Gretzky famous? This brings the 2017 Christmas Quest at Bethard to a starry end. We hope you enjoyed all the extra spins, bonuses, tournaments and rewards. Congratulations to all winners of the Christmas 2017 race.